It has taken 17 years, but the 1 train's Cortlandt Street station is finally open. There's a lot new at the station -- including the name. Andrew Siff gets an exclusive look inside. 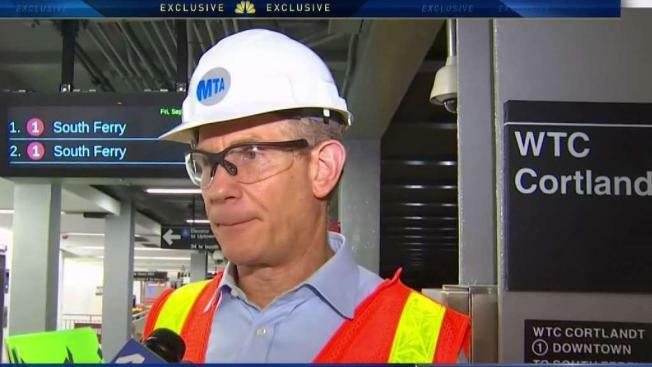 A downtown subway station has reopened for the first time since it was destroyed in the World Trade Center attack 17 years ago. Cheers erupted as the first train rolled into the new WTC Cortlandt station at noon Saturday. The old Cortlandt Street station on the subway system's No. 1 line was buried under the rubble of the twin towers on Sept. 11, 2001. Construction of the new station was delayed until the rebuilding of the surrounding towers was well underway. The new station cost $181 million and features a mosaic that uses words from the Declaration of Independence.